Halloween is tomorrow! 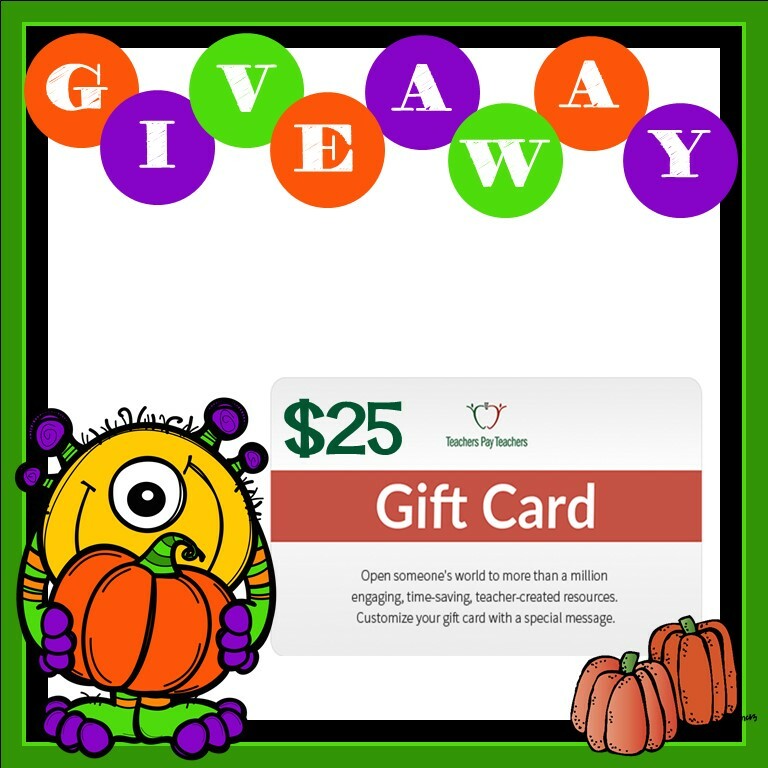 As you brace yourself for the sugar rush of the upcoming week, why not enter to win a $25 Teachers pay Teachers gift card? It may not reduce the Halloween craziness, but it would be a fun little treat! Co-hosts: An Apple for the Teacher, It's a Teacher Thing, Teaching Biilfizzcend, Kamp Kindergarten, Resource Room Relevance, The Literacy Garden, and Amanda Kristofferson. Rules: Use the Rafflecopter to enter. Giveaway ends 11/7/16 and is open worldwide.